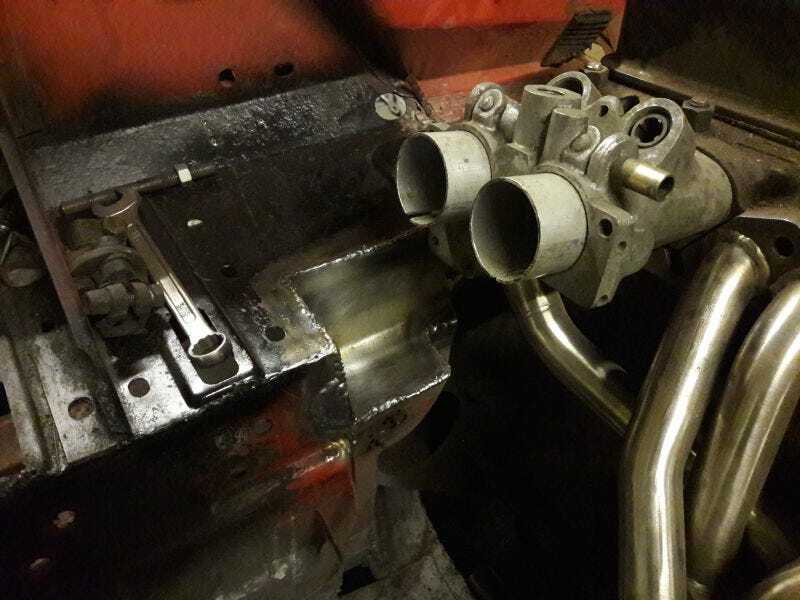 Should be done in no time :) I might take the little corner off in case I need to lower the inlet manifolds (testing if I do is the next job). I have however discovered clearance issues with the pending exhaust along the underside of the chassis (not much space between gearbox and chassis). I could just run the exhaust lower, but I though i’d cut off the flange that runs on the inner side of the chassis and reweld the corners together just in case I need the extra 1/2" clearance. Be easier now than after it’s painted.